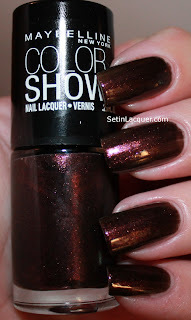 I have been looking at these Maybelline Color Show polishes for a while. But it wasn't until today at Walgreens when they were on sale for buy one and get one half price sale that they jumped off the shelf and landed in my cart. I ended up with six stowaway polishes. The formula on these varies. 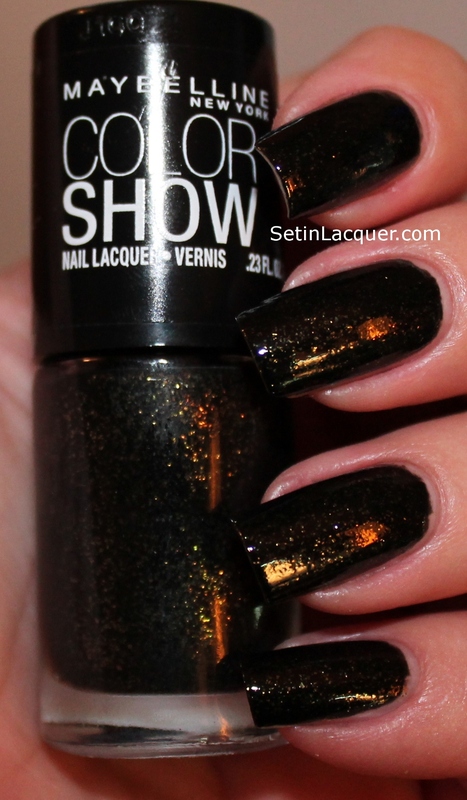 Some were amazing with only two coats and some definitely needed three coats. The dry time was relatively quick. 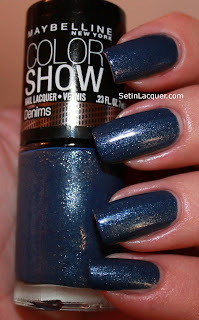 I didn't use a top coat for any of the swatches. 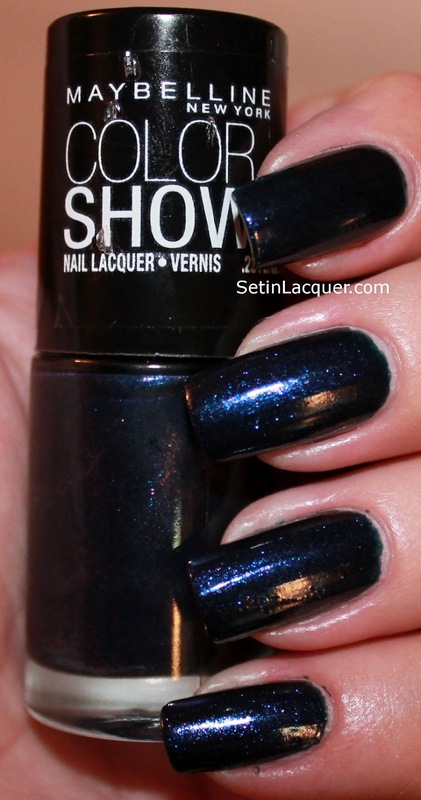 Blue Freeze is a wonderful deep indigo blue with tons of micro particles with shimmer and shine. It looks almost purple in the bottle. The first coat was streaky - the third coat was amazing. Navy Narcissist is a metallic dusky deep sapphire blue. This is two coats. 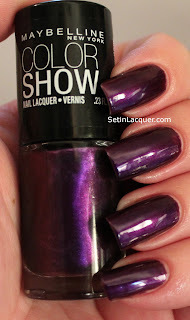 Plum Paradise is a gorgeous high gloss deep plum shade. This is two coats. Styled Out is a stunning denim blue shade with micro shimmer and shine. It's one of my favorites. This is two coats. 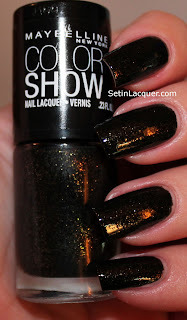 Twilight Rays is a wonderful black base with gold micro shimmers. It was a bit streaky and required three coats. 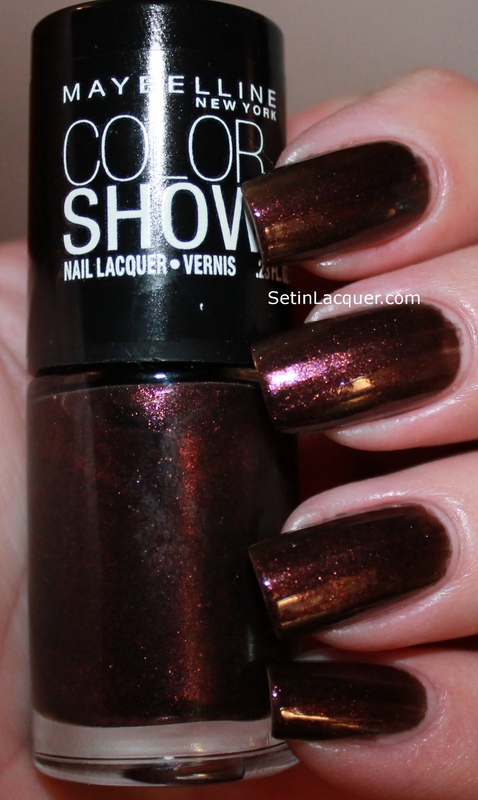 Wine and Dined is a deep wine shade that is infused with micro shimmer and shine. This is three coats. Bottom Line: I am not sure why I waited so long to grab these. The colors are gorgeous. 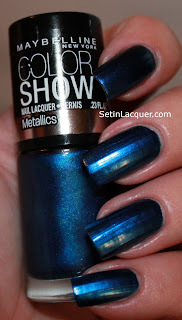 Maybelline Color Show polishes can be purchased at many retail drug stores and departments stores for $4.99.